​ Until now, buyers of commercial insurance have had no independent source that could identify the lowest possible pricing in the marketplace. The “system” for buying insurance has clients counting on a broker (or multiple brokers) to produce quotes that only represent a very small fraction of the market place (there are hundreds of insurers in California). The result is that 80% of insurance buyers are paying 20% - 30% more than they need to. ​ Net Cost Advisors has found this to be the case with over 180 clients since our inception in 2002. Our Market Research Report (based on your exposures) will, ensure, for the very first time that you pay the lowest possible price in the marketplace. 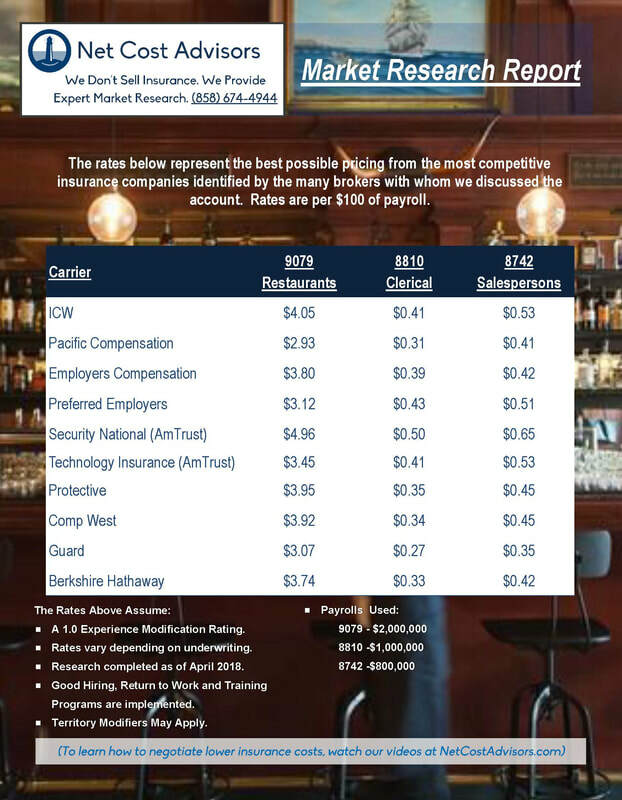 Most businesses enjoy a good relationship with their broker, but don’t want to overpay the insurance companies. There are only two outcomes for our clients when using Market Research Reports, and both of them ensure the lowest possible pricing. In light of the low pricing in our Report, your insurance company will reduce your pricing and keep your business - this is the outcome 80% of the time. Your insurance company will not reduce your pricing. We will then deliver the pricing shown on the report to reduce your costs to the lowest possible rates – this is the outcome 20% of the time.